A woman in Guangzhou was seriously injured when a dog fell from a building. The dog walked away unscathed. 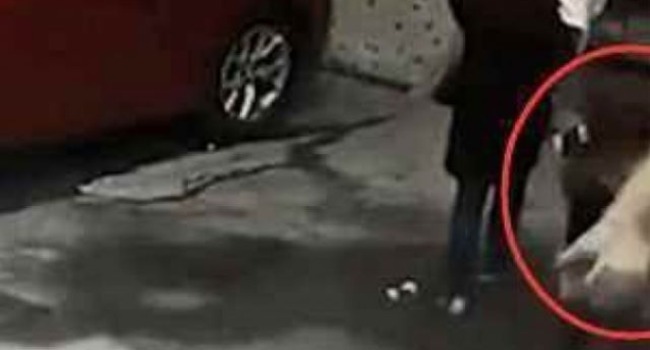 A dog walked away, seemingly unscathed, after it fell from a building in Guangzhou in China’s Guanghong province, the Beijing News reported. Camera footage captured the freak incident, showing a woman struck by the small, white dog as it fell from above. She was knocked out cold by the impact. The other pedestrian — a woman carrying a child — tried to help but was unable to revive her. The victim was taken to the hospital, the newspaper reported, and remains under observation. Police are investigating, as the reason for the dog’s fall was unclear.